Carlow Military Museum. The sixth class pupils of Holy Family BNS would like to thank Paul McGuire, curator of Carlow Military Museum, for an excellent and wide ranging sixty minute talk on Carlow’s military history. The lads were tremendously impressed with all the artefacts which ranged from the present day, 1798, both world wars, the middle ages, the American civil war and beyond. 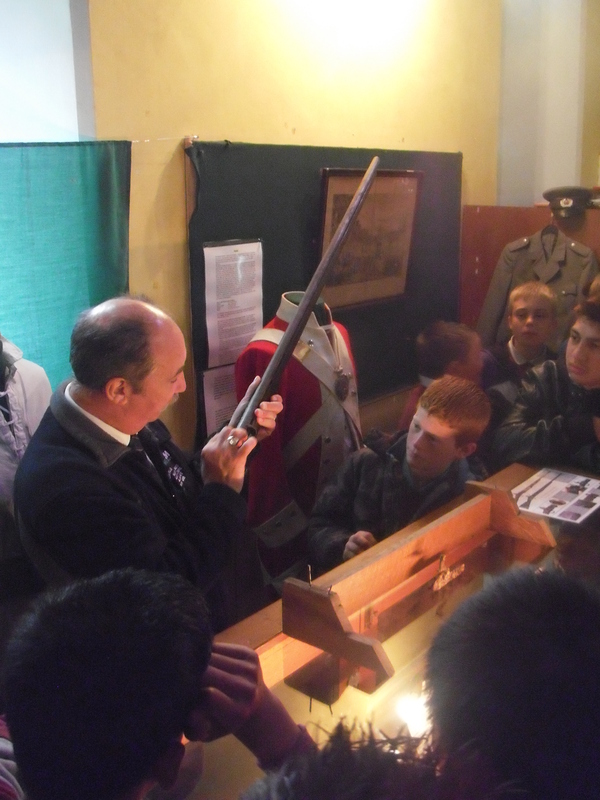 Carlow Military Museum is a must visit site for any primary school with a desire to foster an interest in history.